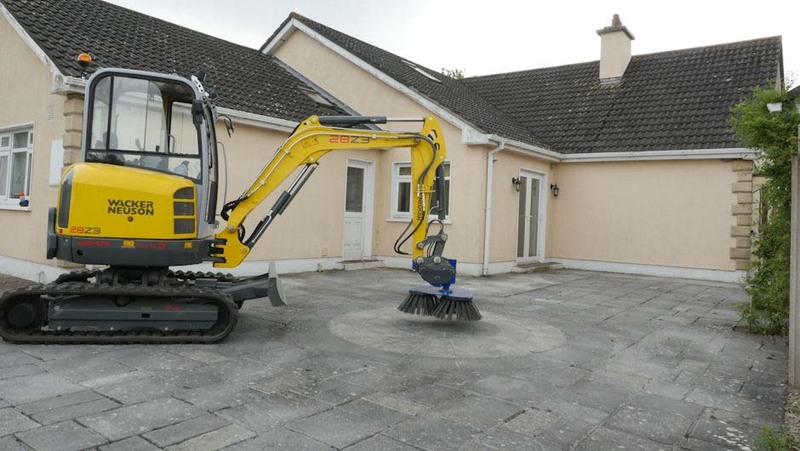 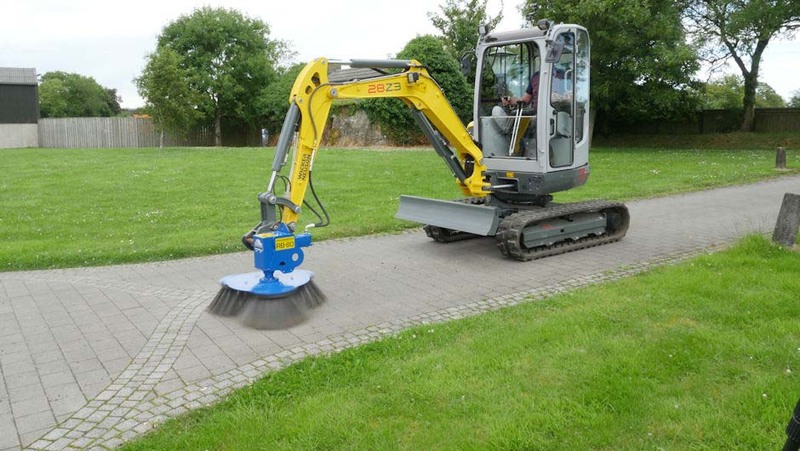 The Slanetrac RB Series Mini Digger Block Paving Brush Cleaner Attachment is suitable for diggers from 1 ton to 7.5 ton. 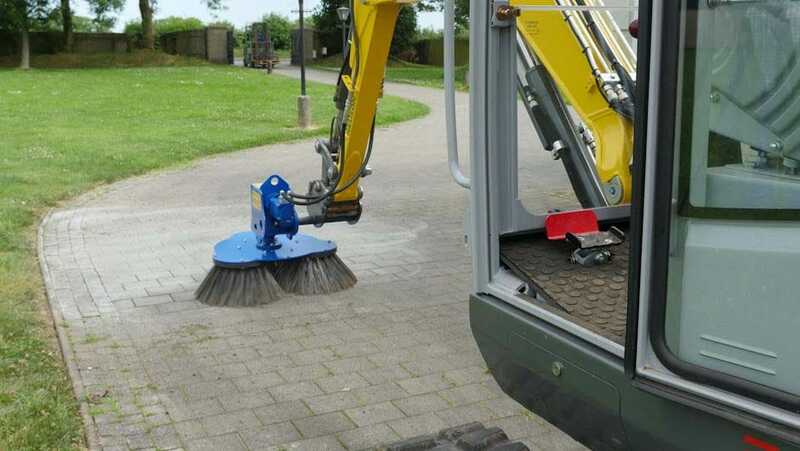 Supplied with an adjustable mounting bracket to suit your machine, as well as the hydraulic pipes to connect to your breaker lines. 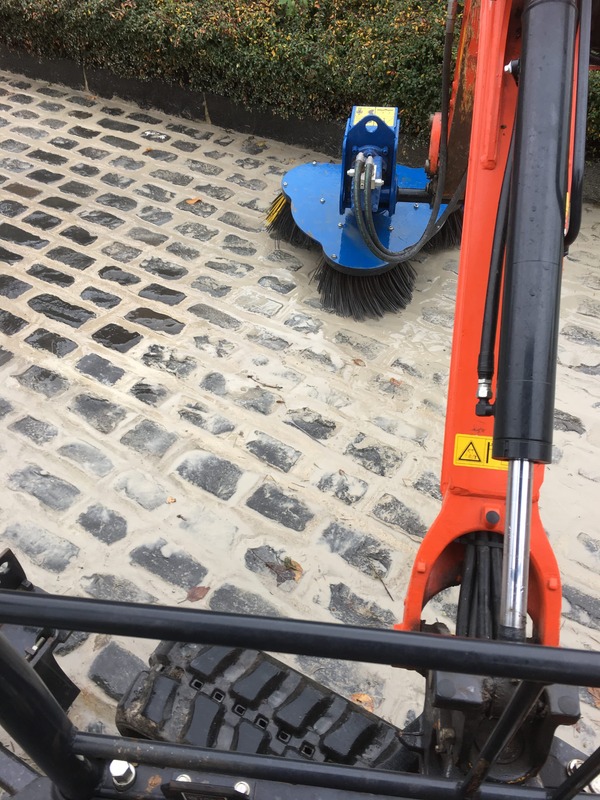 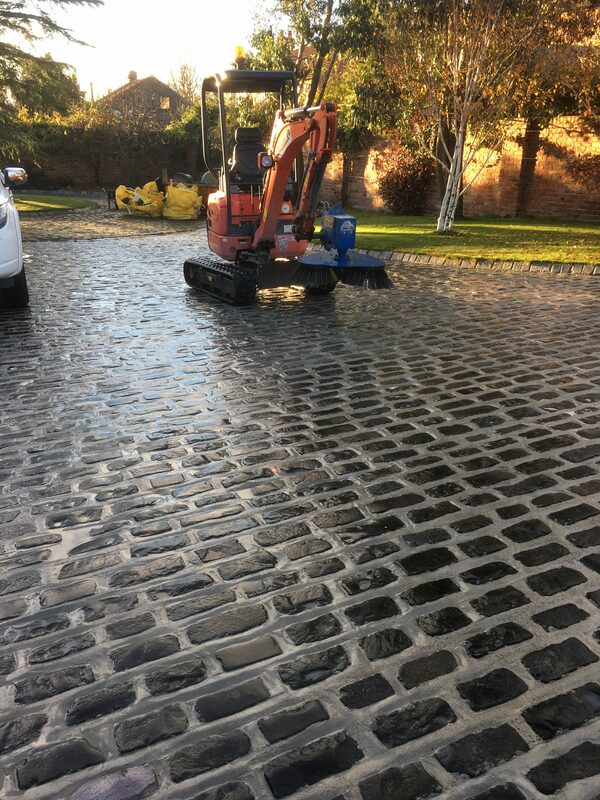 Ideal for cleaning cobble stone, tarmac, concrete and masonry the Slanetrac RB Series Mini Digger Block Paving Brush Cleaner Attachment offers fast, efficient cleaning of large areas whilst having the ability to clean around irregular objects with ease. 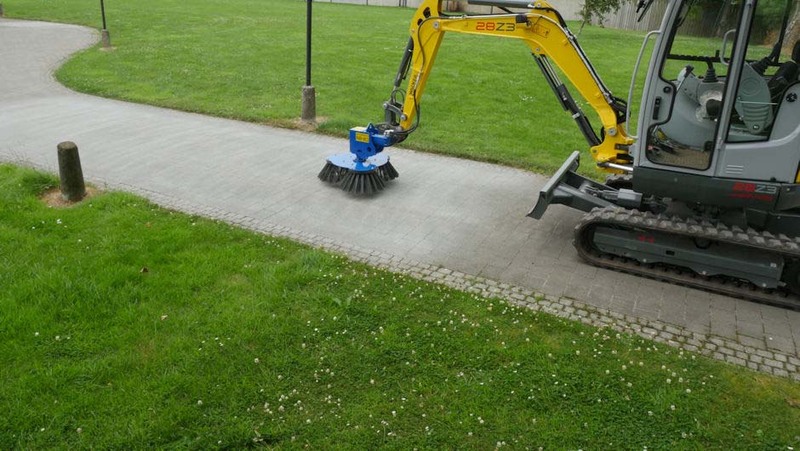 The Slanetrac RB Series Brush Cleaner offers many advantages over power washing including; consistent surface finish, fast effective cleaning without the mess of water and eradicating the damage done to grouting between joints that often gets washed out during the power washing process. 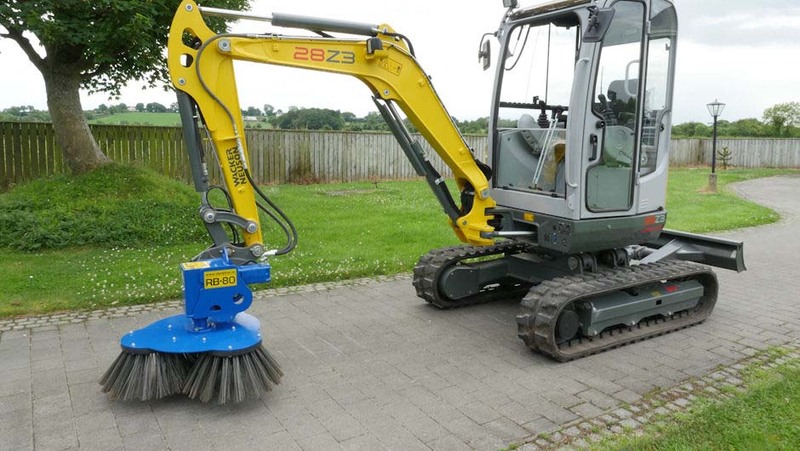 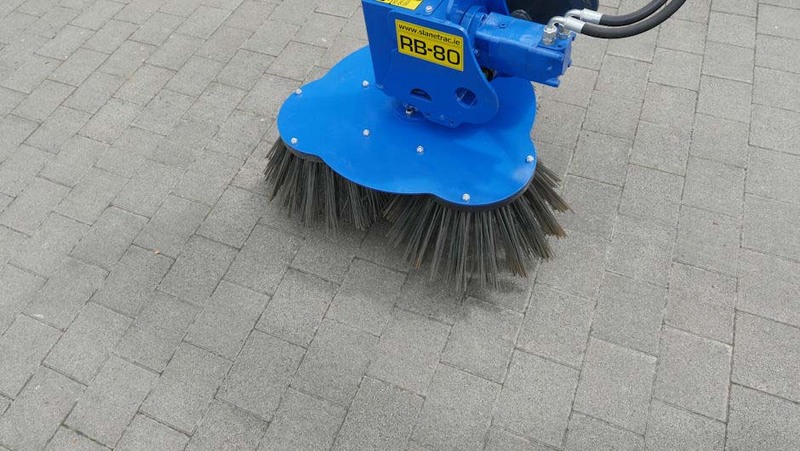 RB80 Single Soft Wire Brush: This is a single soft steel wire brush with a working area of 450mm diameter soft wire brush ideal for cleaning cobble lock, paving, concrete, tarmacadam. 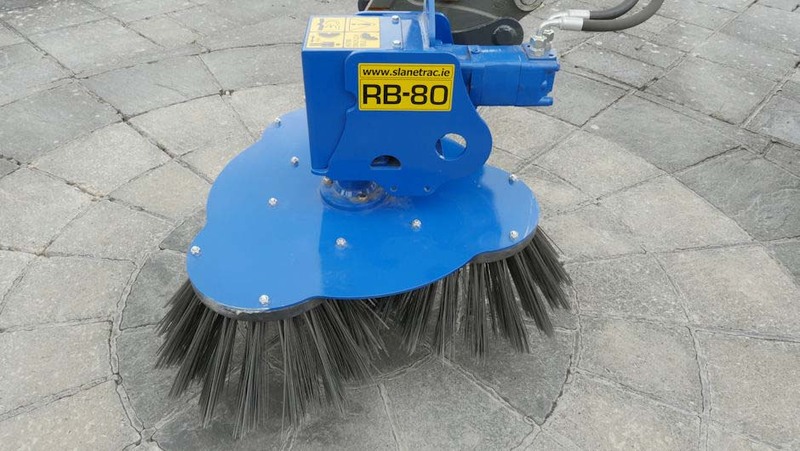 RB80 Triple Soft Wire Brush: This is made up of 3 smaller soft wire brushes like the one above but has a working area of 800mm diameter. 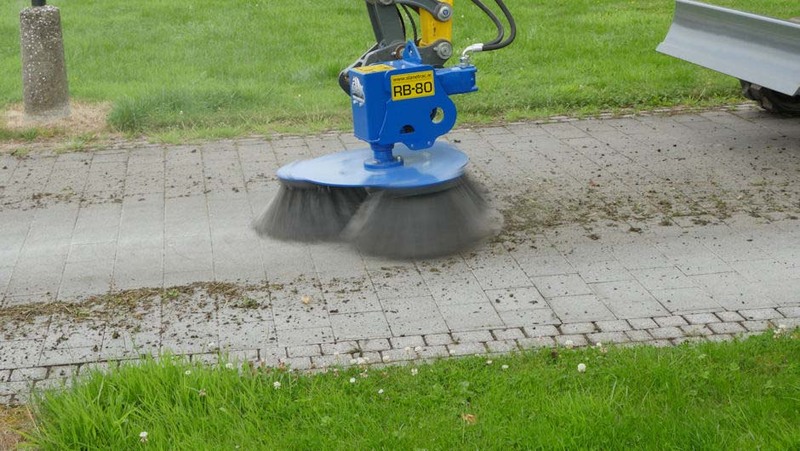 Like the single brush its ideal for cleaning cobble lock, paving, concrete, tarmacadam. 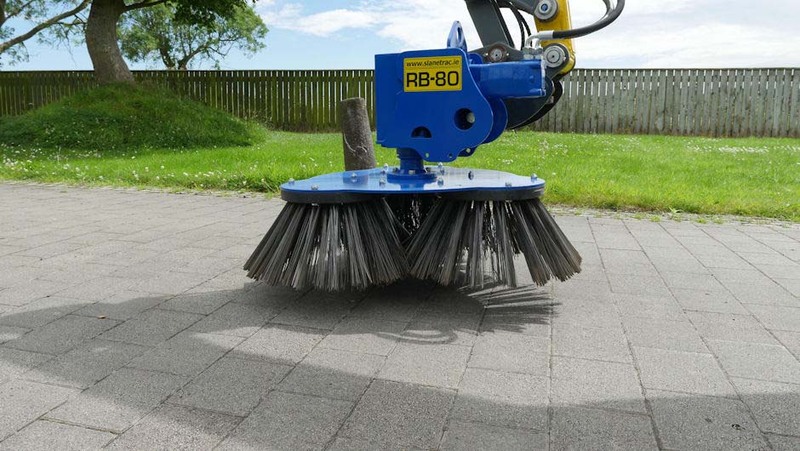 RB80 Hard Wire Brush: This is made up of 24no individual heavier braided wire ropes mounted to a plate to give you a working area of 450mm. 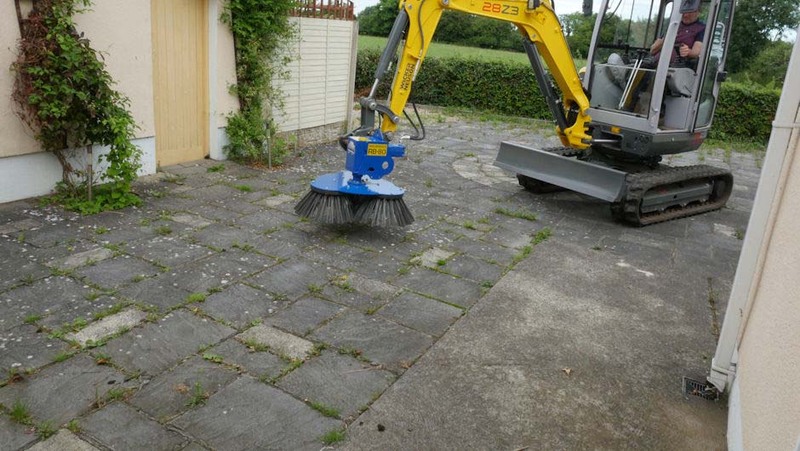 This is for your more heavy duty cleaning where there is a lot of debris to be removed. 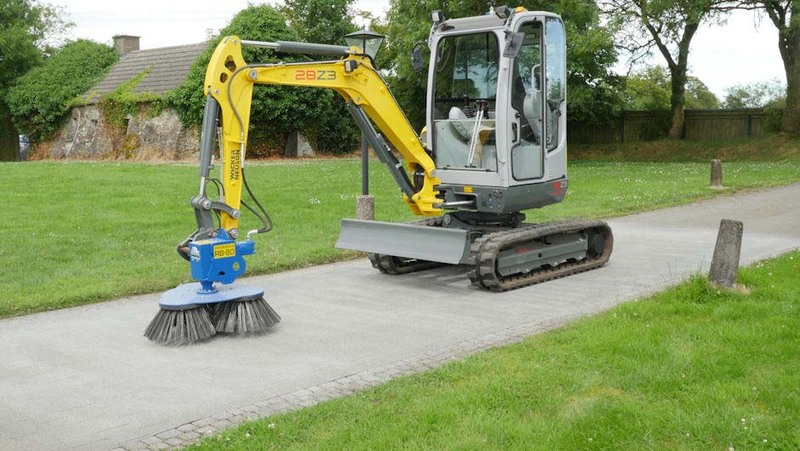 We for example have used this to clean excess concrete from screed. 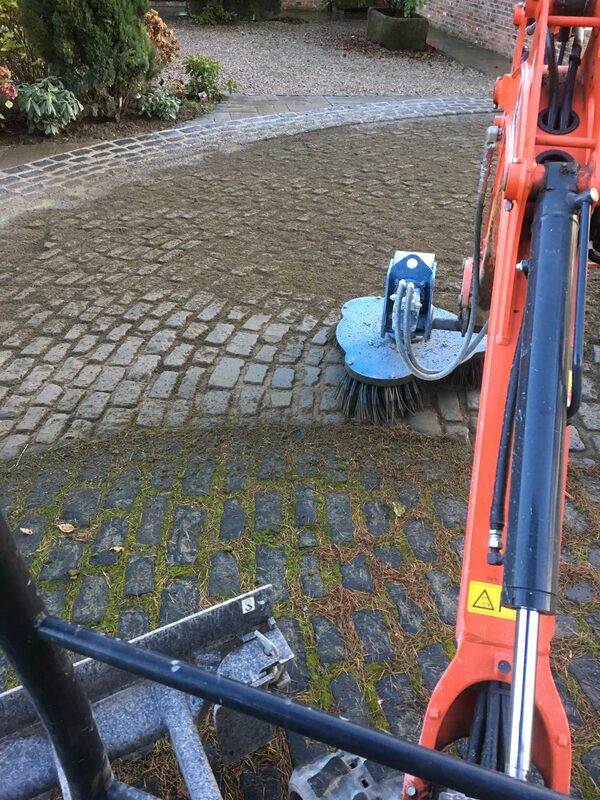 Customers we have supplied have used this set up for concrete removal and cleaning gully’s. 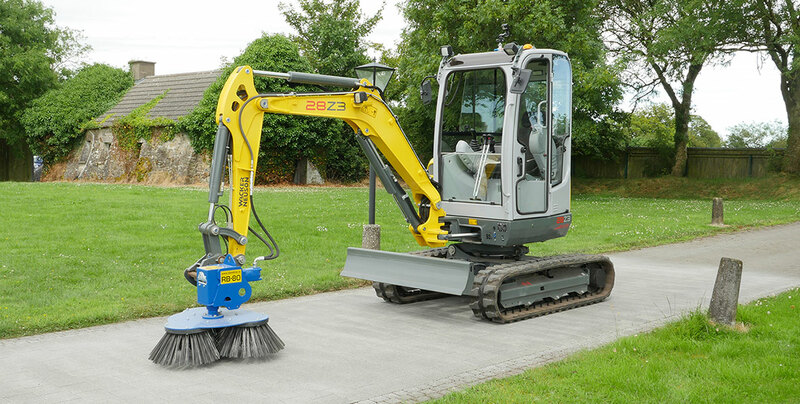 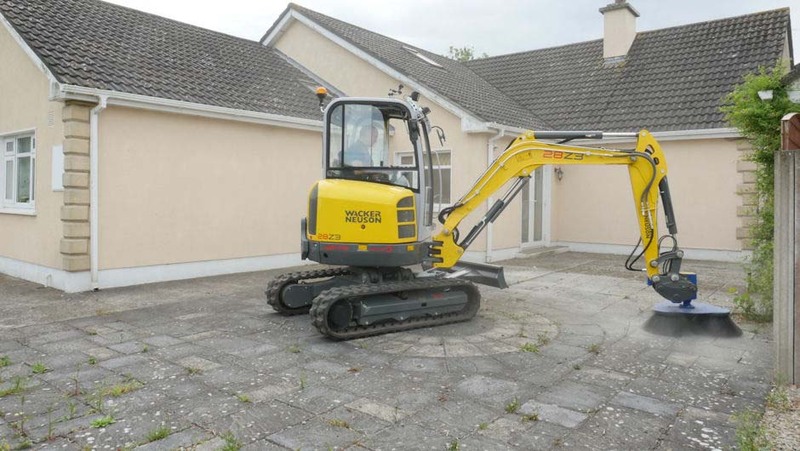 Suitable for Mini Diggers from 1.5 to 8 tonne.